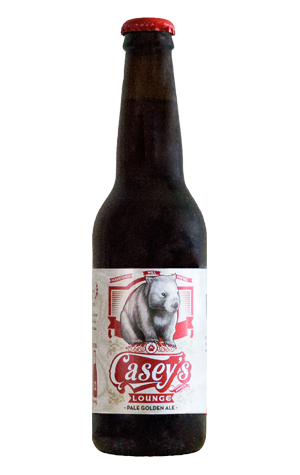 The core beers from Casey’s Brewery have a simple aim: to be straightforward, easy-drinking, everyday beers, enjoyed from the comfort of home. And the exact location intended for such drinking also happens to be the name of this beer. Lounge is a pilsner-inspired, pale golden ale that's the very first style Pat Casey brewed in commercial quantities back in late 2016. The pilsner inspiration is clearly evident in the malt, which gives the beer a light, straw yellow colour. That’s backed up by Vienna and a bit of Carahell, which result in a strong malt backbone that’s tastes almost like a buttery shortbread biscuit. Lightly hopped with Aussie Ella, Czech Saaz and German Tettnang, the beer is a truly multicultural affair displaying low bitterness and hints of zesty spice.